Enter Horizons Cottage from the private paved road, and park with ease right outside the front door. 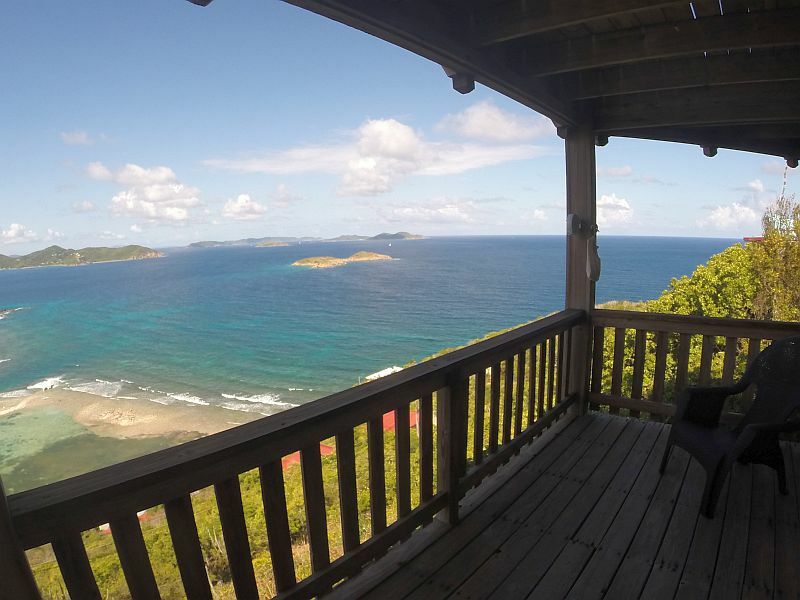 This comfortable, open floor plan, custom built vacation home is designed specifically for you and your family’s comfort in mind. complete with WIFI, Netfix on Smart TV, DVD player and stereo. The area can comfortably seat six, and there is also a sofa bed for additional sleeping space. 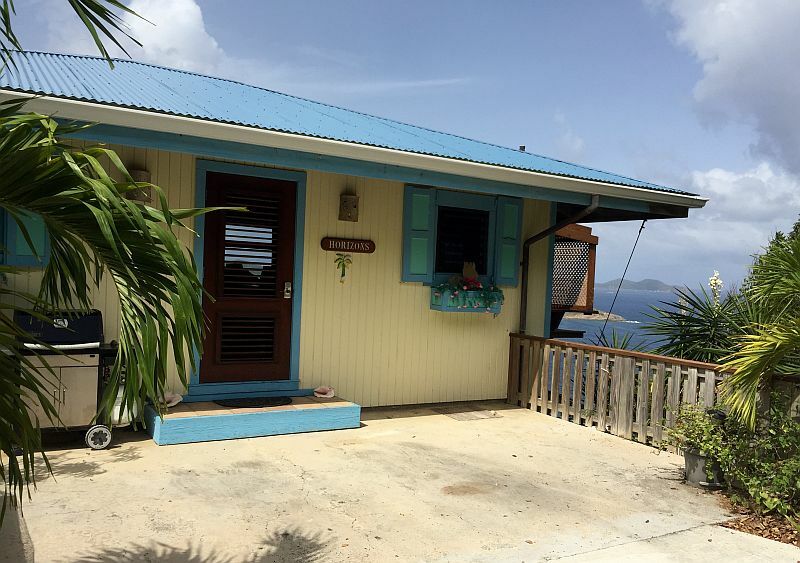 The kitchen includes all amenities from microwave to a blender to the toaster and is fully stocked with spices, coffee grinder and mini food processor and cooking utensils. 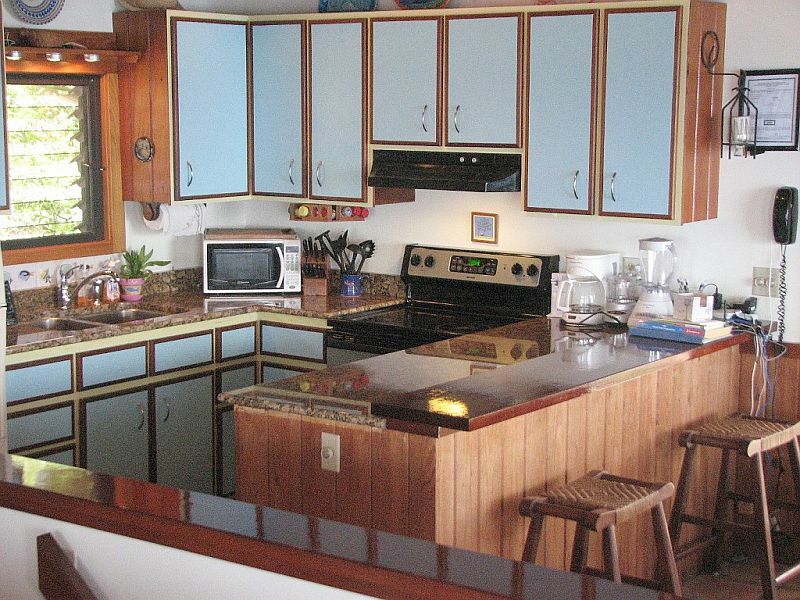 Any Chef will love the collection of stainless and Teflon pans, granite counter tops and breakfast bar. 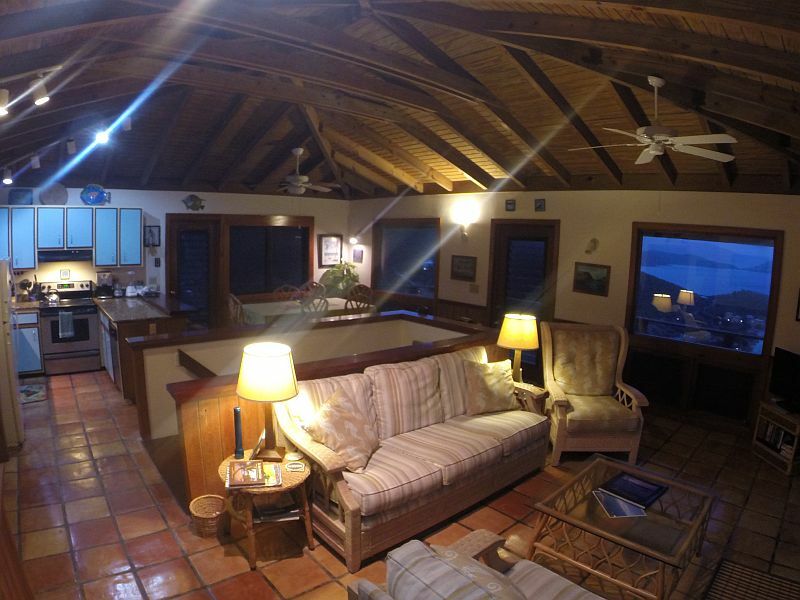 The best feature is that this open floor plan leads to a huge exterior, wraparound deck. With enough space for outdoor dining and lounging, this will surely be everyone’s favorite spot. or cool off in the shaded areas. 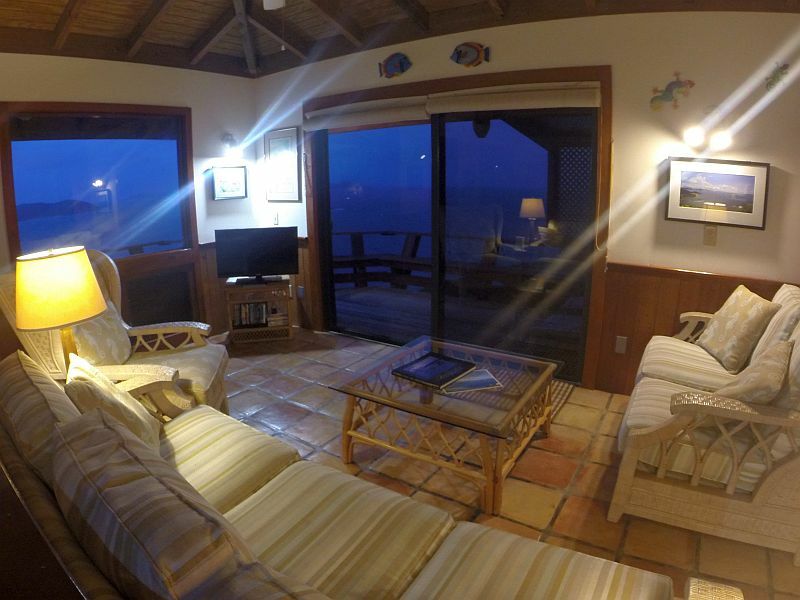 Downstairs you will find both bedrooms and the outdoor, private, covered deck. 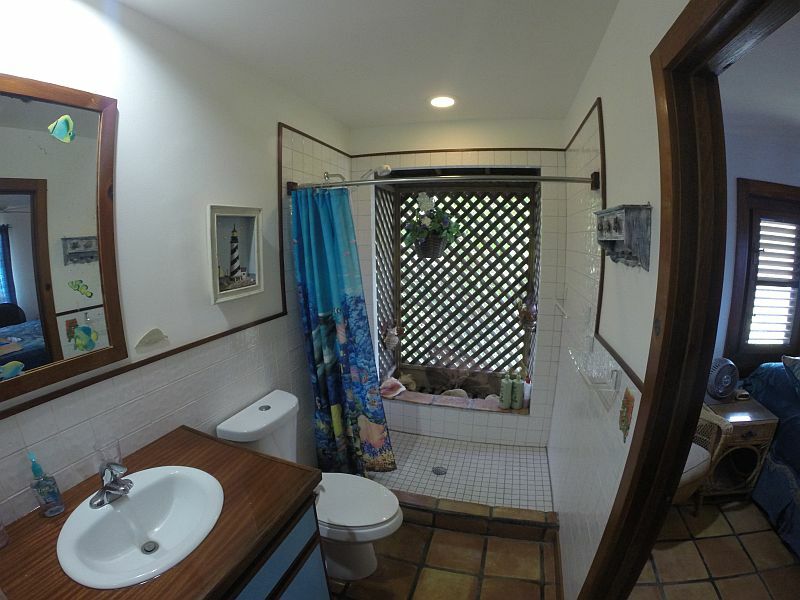 with unique, completely screened, tropical shower. 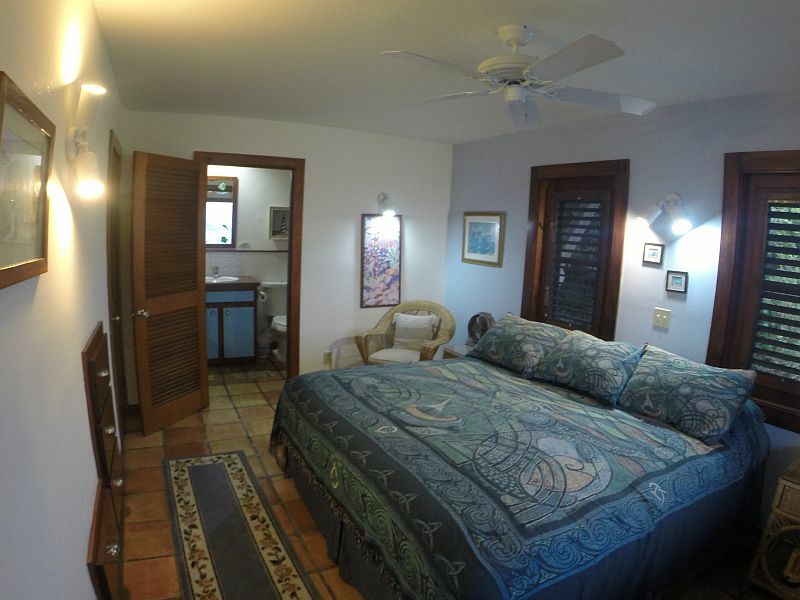 All linens, including high-quality sheets and beach towels, are included. 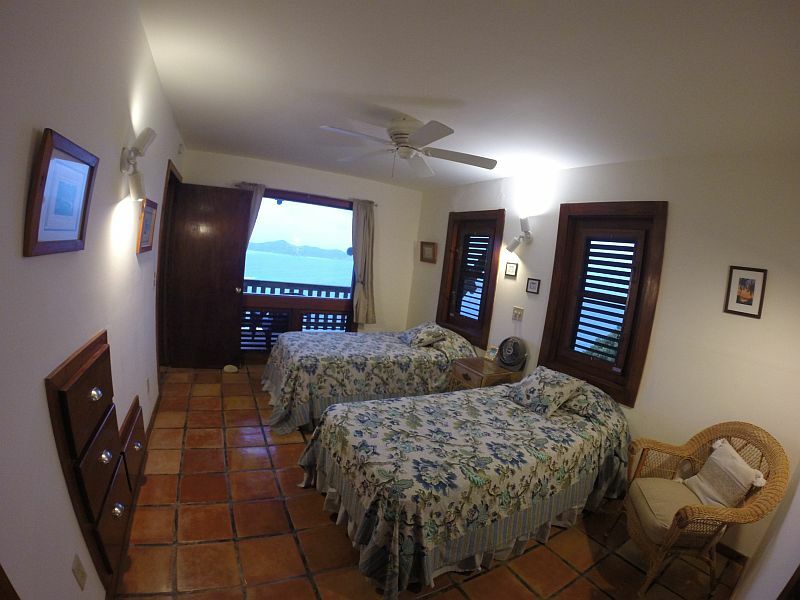 On the other side are two twin beds which can be made into a king, with an en-suite as well. Outside you will find a gas grill, beach chairs, and all you need for a successful trip the beach: coolers and snorkeling equipment. High-speed wireless internet and phone are available. I had major surgery March 2015 and after recoup I needed desperately to get away, go somewhere peaceful and beautiful both for my spirit and as my first trip as a healthy person again. Due to circumstances, the only dates I could travel was in August! I can not tell you how hesitant I was, August heat, bugs and on and on. When I heard Horizons did not have AC I had my reservations. and almost did not book. Thankfully I did! 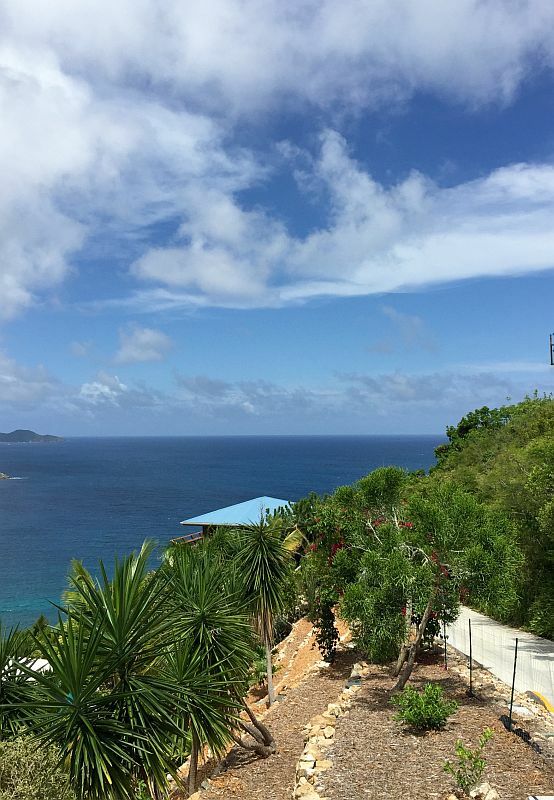 Horizons is built on the side of a mountain overlooking the sea with row upon row of open windows. 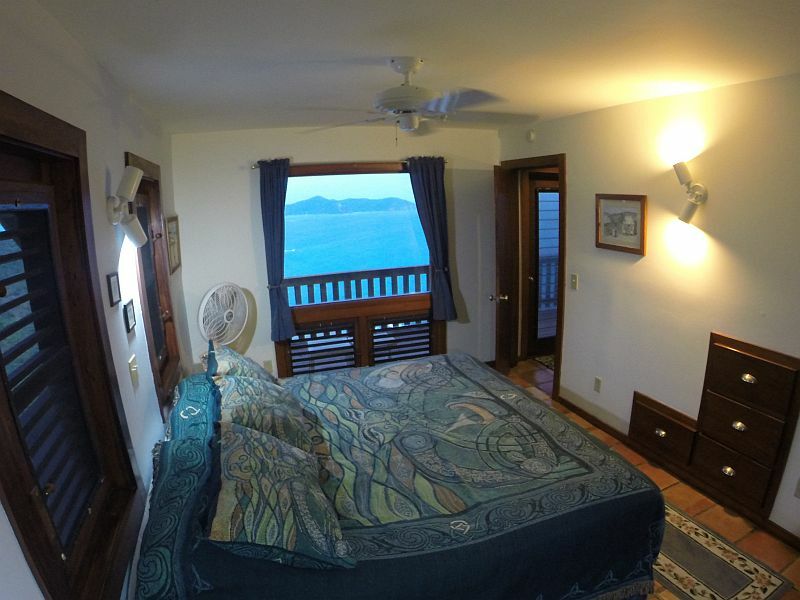 The trade winds blew directly into the house 24/7 providing the most natural A/C I have ever experienced. Never a moment of discomfort, never a moment or regret. For those considering off-season rental, go for it! 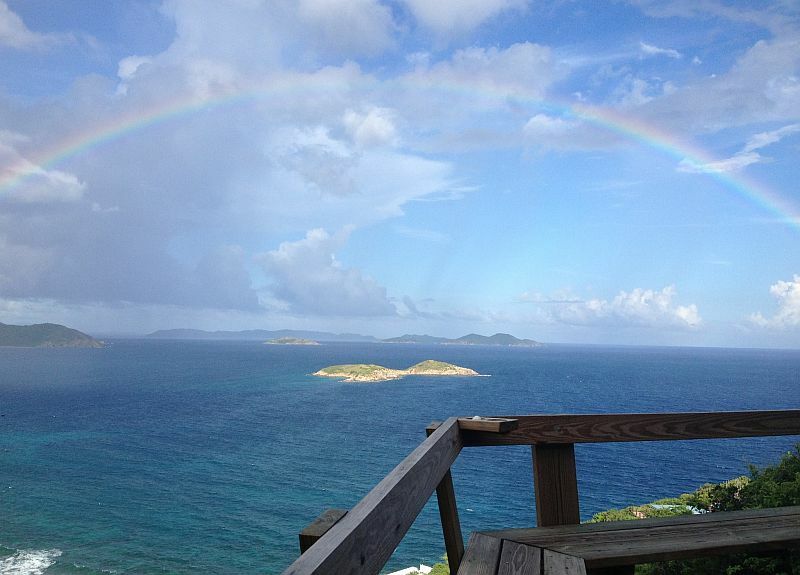 the island is quiet, the house is perfect, and the trades are blowing. What an amazing stay we had at this place. 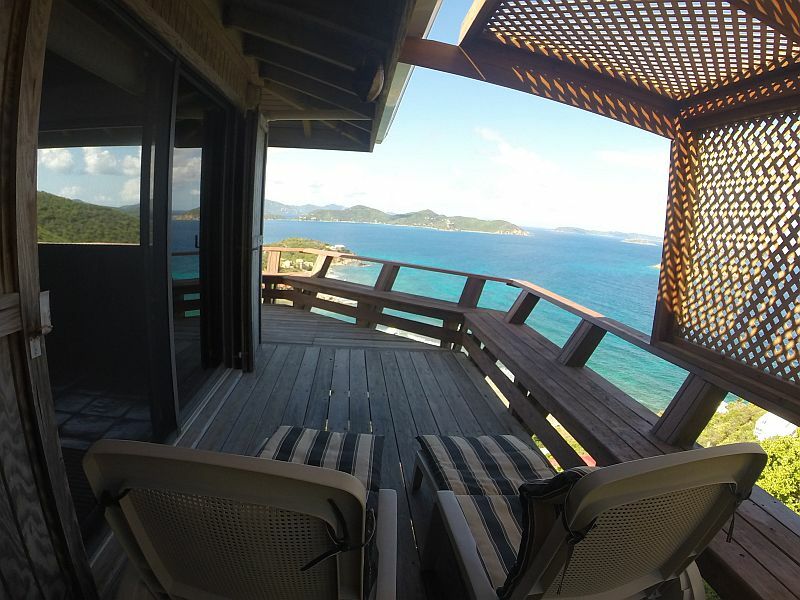 Being urban dwellers we especially appreciated the outdoor decks on both floors that boasts quite an impressive view. The house itself is well equipped and nicely set up so we felt right at home. As someone who is adverse to air conditioning the air circulation in this place is really wonderful that you do not need AC even in what they consider the hottest month here. I would highly recommend this place! We thoroughly enjoyed our stay here at the horizons cottage. Sue was a gracious hostess in every way. From hooking us up with a car rental ( awesome Jeep) complete information about the island. That was just the beginning her home is so comfortable we were truly blessed and felt very spoiled. 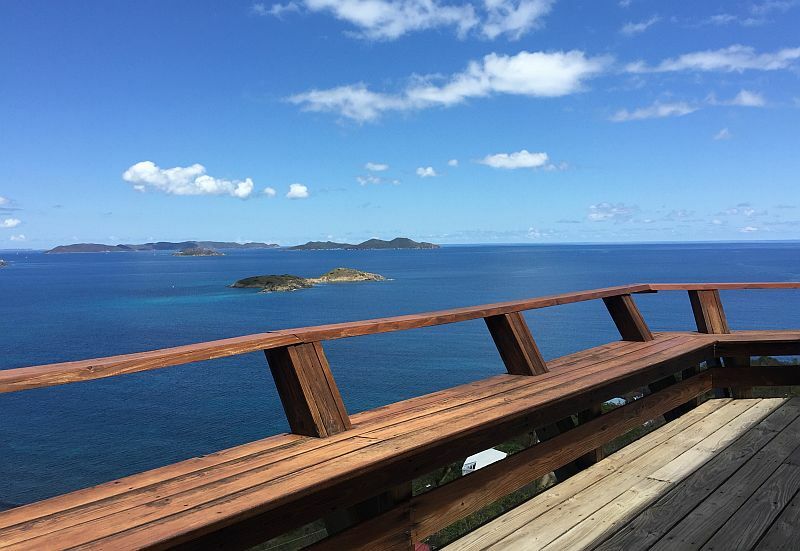 If you have not been to St John, Horizon cottage offers you comfort and the beauty of the island right there out the Windows and onto the 2 tier decks in the back of the cottage! WOW! We had a great time at Great Horizons Cottage..spotless clean..all the amenities..including beach gear! 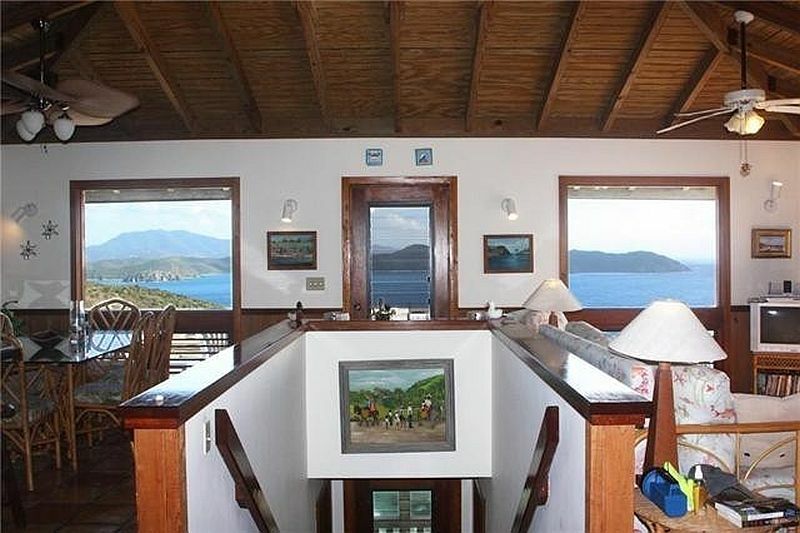 GREAT views.. 2-minute drive to Salt Pond..gorgeous bay.. 10-minute drive to Coral bay— Was really nice to be on the Coral Bay side of the island versus busy Cruz Bay. We had everything we needed for a great vacation. We would MOST definitely rent this cottage again. This house has it all. 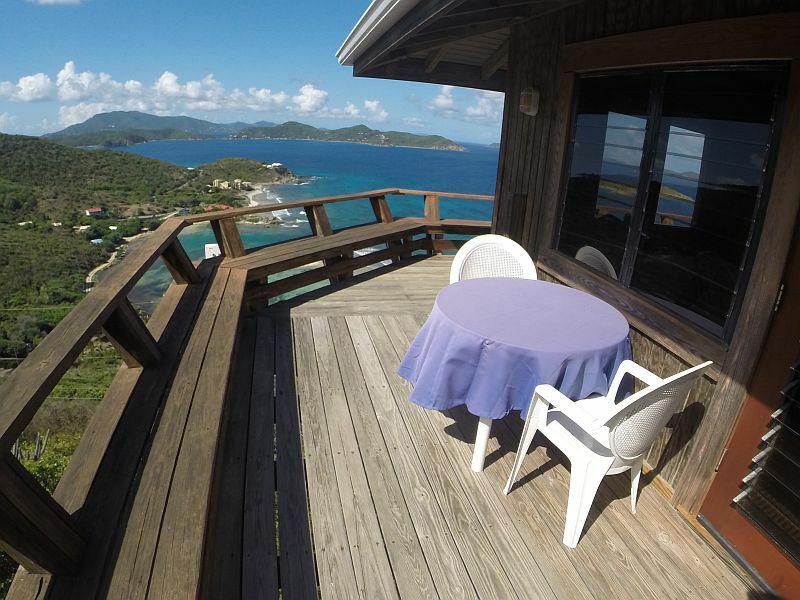 Great accommodations for 2 couples, Great views. Great bathrooms. Great Kitchen and Living room and easy parking for a car. I personally highly recommend this property. Read more reviews or write your own on our Facebook Page.